You don’t build an 80-year history without having strong products and an even stronger commitment to excellence. 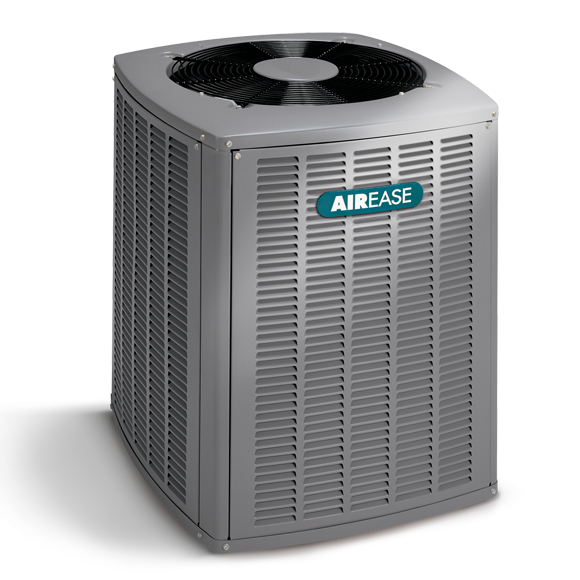 The AirEase® 4SCU14LE is the perfect example of what happens when you set out to exceed expectations. It’s quiet. It’s energy efficient. And it’s made with pride by people who know quality. No wonder it’s the premium choice of HVAC experts throughout North America. Up to 16 SEER Efficiency Rating SEER (Seasonal Energy Efficiency Ratio) rates the energy efficiency of your cooling equipment. The higher the SEER rating&apos; the more efficiently your unit operates&apos; saving you money on utility bills. MHT™ Technology AirEase’s proprietary heat transfer system. A specially designed fan shroud pulls air evenly throughout the air conditioner’s coil surface. The coil features rifled tubing to enhance refrigerant flow&apos; while lanced coil fins increase surface contact between metal and air. All combine for maximum heat transfer and efficiency.